Are you sure this is the same place? We frantically looked for access to the shoreline in an unfamiliar area south of Eureka, CA one evening…because the sunset was suddenly exploding with color. 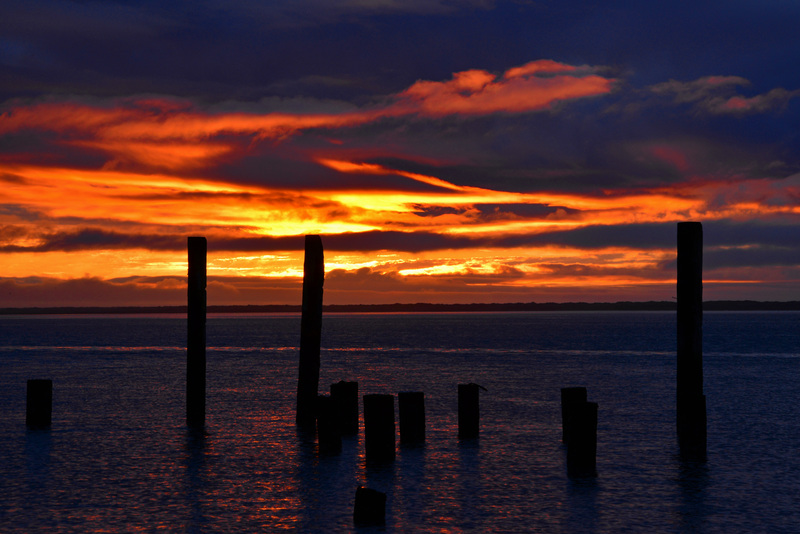 Managed to find a narrow spot on Humboldt Bay with some old pilings to add character to the foreground! The other evening we were driving near the same spot as the time for sunset approached, so we pulled off the highway to see what might develop. The sky wasn’t nearly as spectacular…. Ah, but that means you just work a little harder to get something interesting! I had a little fun with a 30-second exposure…and produced an image I find more compelling than an intense orange sky. So different from each other!